While having lines and wrinkles is a normal part of aging, they can make you look tired and feel self-conscious. These signs of aging are more likely to appear sooner in the skin around your eyes, mainly because this area is thin and fragile. Many also consider the lines and wrinkles under the eyes problematic, as they can make you look older than you really are. Cosmetic products like concealers may be available for hiding skin imperfections, but they have limitations and cannot conceal under eye wrinkles. They also form creases and settle into fine lines, making them more noticeable. If you’re looking to effectively reduce the appearance of your under eye lines and wrinkles, it is important to understand first what causes them to develop. What causes lines and wrinkles under the eye? UV exposure. UV rays are known to break down collagen, the protein that gives your skin elasticity. Unprotected sun exposure can contribute to premature aging and earlier appearance of fine lines and wrinkles. Repetitive facial expressions (and movements). Smiling, frowning, squinting, and other repetitive expressions can cause lines and wrinkles to develop on your face. The same is also true for sleeping, especially if the same muscles in the face are pushed up against your pillow when you doze off. Smoking. The habit is associated with skin damage and increased wrinkling, not just on your face but also other parts of the body. Smoking impairs the blood flow to your skin, which then deprives your skin the oxygen and other important nutrients it needs. How can you get rid of these under eye wrinkles? The use of the right skin care product like eye creams and a broad-spectrum sunscreen can help prevent the formation of lines. However, if the lines and wrinkles are already very noticeable, it is best to turn to aesthetic treatments to treat or decrease lines under the eyes. Botox, the brand for Botulinum Toxin, is an FDA-approved injectable treatment for getting rid of dynamic wrinkles or those that are formed due to facial expressions like smiling or frowning. It is commonly used to remove wrinkles around the eyes, as well as forehead lines and frown lines between the brows. Botox works by temporarily blocking the signal from the nerves to muscles, which then softens and relaxes the wrinkles. It involves the use of topical anesthetic cream to make the procedure more comfortable. The treatment, according to patients, has minimal to no pain at all. If you’re thinking of getting Botox, it is best to consult a skilled and certified aesthetic doctor in Singapore. Choosing someone who has a good track record of injecting and is highly knowledgeable of the facial anatomy is important to get the best results and avoid having a “frozen look”. Note that results will not appear immediately after the procedure. It can take about 5 to 7 days before you can see the effects of the treatment, and about 2 weeks to see the full expression of the Botox that you get. Check our previous blog to learn more about the things you need to know when getting Botox in Singapore. Dermal fillers in Singapore are safe injectable gels that are used to decrease the appearance of fine lines and wrinkles, as well as plump up the lips, contour the face, and enhance cheekbones. Fillers work by filling up the gaps and spaces caused by unwanted lines and folds. There is also a special technique called Liquid Lift, which is used for injecting advanced dermal fillers to lift and contour facial features. This result in a natural lift of the overall facial feature, which also improves eyes bags, reduces lines and wrinkles, and restores a natural curved facial contour. Hyaluronic acid (HA) filler. HA is a naturally occurring substance in the body and is responsible for the firmness and suppleness of the skin. HA-based fillers are mainly used to restore the volume and structure that your skin loses over time. Juvederm is a well-known and FDA-cleared HA-based injectable filler. It can be used to improve fine lines, eye bags, and nasolabial folds. You can also turn to Juvederm to fill your lips, add volume in the cheeks, augment the chin, and give you a higher nose bridge without surgery. The results are immediate and it can last for at least 9-12 months depending on the type of Juvederm ranged and the number of syringes used. Calcium-based microspheres. These fillers also contain minerals that are naturally found in the body. This then eliminates the need for allergy testing. The body absorbs the microspheres and gels over time, leaving only natural collagen behind. Radiesse is one example of an FDA-cleared calcium-based filler. It can be used to improve the lines on the face, plump the skin, and replenish volume lost over time. It can also add volume to the cheeks and fill the lips and nasolabial folds. The results can be seen after the procedure and can last for at least 9-15 months but will depend on the number of syringes used. Treat the lines under your eyes with these safe and effective aesthetic procedures. 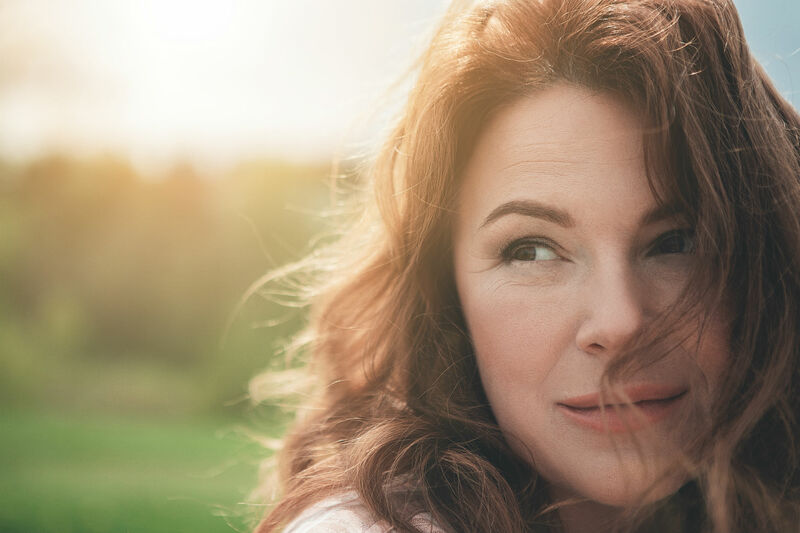 Contact Cutis Laser Clinics today and schedule a consultation with our Harvard-trained aesthetic doctor, Dr. Sylvia Ramirez, to learn more about the treatments that can make your eyes more youthful.